The newly opened Crown & Anchor pub located on Dock Street has closed its doors. The restaurant, operated by the previous owners of Patton’s Pub, had taken over the space that was formerly Hell Point Seafood and prior to that Phillips Seafood House. The pub struggled with permitting issues to open and their anticipated June opening was delayed into late September with a September 18th opening. With literally only a few weeks of operation, they shuttered their doors yesterday citing ongoing permitting issues with the City of Annapolis. The following notice was posted on their Facebook page. Due to the division of the former Hell Point building, 12 Dock Street, into two legal entities many unforeseen problems have arisen concerning permits and usage. These problems have caused half of the first (ground) floor to still be unusable after six months and will be unusable into the foreseeable future. As we have failed to negotiate new rent terms appropriate to the available space and usable period, although a reduced rent was tendered. After consideration of these serious problems it has been necessary to invoke a break clause written into the contract by our lawyers. This clause permits us to withdraw from the lease under certain circumstances, and these circumstances have arisen and the clause has been utilised. 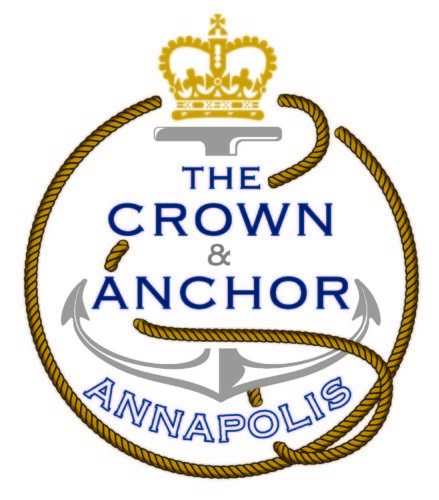 So The Crown & Anchor with be vacating 12 Dock street today, Tuesday 30th October and Phillips, or one of their agents, will be managing the site on behalf of Crown & Anchor Assets Holding Corporation. Our staff have worked hard, are an excellent group of people, and have achieved much. We hope to be in a position to offer them employment in the future. The pub has been well received by the public and we have enjoyed the support of the people of Annapolis, we are hopeful that we will find other premises in the town to trade in fairly shortly. We also hope that the old Harbour House building will eventually find an operator to revive it and make it a success again.